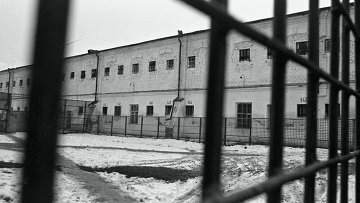 Russian ombudsman calls for inspection of penal colonies after recent torture scandal | Russian Legal Information Agency (RAPSI). MOSCOW, July 25 (RAPSI) – Russian Human Rights ombudsman Tatyana Moskalkova has called for a complex inspection of national penal colonies following the public outrage sparked by a video showing torture of an inmate. According to the press-service of the Human Rights commissioner, appeals against ill-treatment of inmates in penitentiary facilities alongside reports made by regional ombudsmen filed within last 2 years should be examined. On Tuesday, it was reported that a criminal case over the beating and torture of an inmate in the Yarsolavl Penal Colony One was transferred to the main directorate of the Investigative Committee. Six members of the colony’s staff were detained on suspicion of abuse of office with use of violence.